Posted by OromianEconomist in Afaan Oromoo, Afaan Publication. Toltu Tufa grew up in Australia, so she couldn’t understand why her father insisted on teaching her Oromo, a macrolanguage spoken in parts of Ethiopia, Kenya, Somalia and Egypt. But what she went on to discover about the language prompted her to launch the first publishing company to print children’s books entirely in Oromo, which she exports from her home in Footscray, 5km west of Melbourne, to schools and families throughout the world. Tufa’s father is from Ethiopia where Amharic, not Oromo, is the national language. Her mother was born in Turkey but moved to Australia when she was four, and it was here her parents met. Tufa grew up learning English, Arabic and Turkish but, for reasons Tufa couldn’t fathom at the time, her father also made sure she could speak Oromo, the fourth most spoken language in Africa. “Dad never spoke about his life back in Ethiopia and yet he insisted on teaching us this language,” Tufa said. Her father wouldn’t answer her questions about it either. But as Tufa, who is now 30, got older and began doing her own research, she discovered why speaking about Oromo was so painful for her father. The Oromo are the largest ethnic group of Ethiopia. But since their land was conquered and rolled into the Ethiopian empire in the 1880s, the people have suffered repression and persecution at the hands of numerous African regimes, including mass executions, mutilations and slavery. Under the dictatorship of Haile Selassie in 1941, the Oromo language was banned, including from political life and schools, and the Amharic language and culture was forced upon the Oromo people. It was a ban that would remain until 1991, when the military Derg regime was overthrown by rebel forces. During this time the Oromo were jailed, abused and executed. Oromo texts were destroyed. Tufa’s father, an Oromo, fled to Egypt and, in the late 1970s, he was granted asylum in Australia. By the time the Oromo ban was lifted, Tufa’s father had established a small, private Oromo school in Melbourne to teach the language to the children of asylum seekers who had fled the Horn of Africa. As she helped to teach the students, Tufa realised the teaching resources were woeful. “Dad imported some Oromo books from Ethiopia after the ban had lifted but they were written in tiny print and had these crude black-and-white drawings,” she said. Tufa decided to create posters and worksheets for her father’s students, using her own money to get them printed. One of the first things she produced was a series of alphabet posters. “The first thing I made that I showed to my dad was a poster I made for the Oromo letter ‘A’,” she said. Three other small Oromo schools that had opened in Victoria by then heard about the materials and all of them wanted copies. Tufa realised that if there was a demand for Oromo child education materials in Australia, there must be other communities around the world where resources were also needed. She booked a plane ticket and travelled to nine different countries to find them. The response was overwhelming, she said. Word of her project spread and, when she returned to Australia, she launched a crowdfunding campaign so she could print Oromo learning materials and send them back to the communities she had visited. By the end of 2014, in just six weeks, she had raised almost $125,000. Last year, Tufa flew to the communities that had supported her projects most to thank them and provide them with children’s books and posters. Even Oromo speakers who had no money helped her, she said, by editing her books and offering feedback. While her market is all over the world, the largest Oromo community outside Africa is in the US state of Minnesota, she said. Her resources have also found their way to Ethiopia, with people sending copies to family members who still live there. This year, she plans to launch an online store for her publishing company, Afaan Publications. Demand is also solid in Australia. According to the latest available census data, the top ancestry responses that Ethiopia-born people reported were Ethiopian (5,297 people), followed by Oromo (821 people). Meanwhile, the troubles for Oromo people in Ethiopia are far from over. The current government has announced an urban planning strategy that aims to expand the capital, Addis Ababa, by occupying surrounding Oromo towns and land in Oromiya, the largest and most populous state in Ethiopia. The move would require closing Oromo schools and occupying homes to make way for infrastructure. In November, people, predominantly students, from 100 towns of the Oromiya region began protesting the move, with the government reacting by killing, maiming and imprisoning them. A series of violent clashes between protesters and the government left the country reeling. Last month, after 140 lives were estimated to have been lost in the protests, the Ethiopian government announced it would scrap the land expansion project. But protesters and activists feel it is too little too late and there is continuing unrest. * Tufa’s father, who frequently travels to Ethiopia, could not be named in this story for his own protection. The first publishing company to print children’s books in the Oromo language, which is spoken in parts of Ethiopia, Kenya and Somalia, has been launched. The Oromo language fell out of favour in Ethiopia under the rule of Haile Selassie, with the Amharic language and culture being favoured. It is the fourth most widely spoken language of Africa (after Arabic, Hausa, and Swahili). Toltu Tufa learnt Oromo from her father as she grew up in Australia. She explained to Newsday why it was important to her to create the children’s books. The purpose of this paper is to make known historical development of written Afaan Oromo to 1900. The study draws upon primary and secondary sources. The primary data are drawn from oral and archival sources. Books and articles in Afaan Oromo and in other languages about Afaan Oromo were consulted. Many of these sources are not only indicators of the status of written Oromo but also of situations that the Oromo people have endured over decades and centuries. The paper reveals how the assimilation activity targets above all the language of the society to be assimilated and how Afaan Oromo had been able to survive such assimilation policy of successive Ethiopian regimes. In addition, it puts an overview on how the missionaries, foreign travelers, religious personalities and some Ethiopians attempted to reduce Afaan Oromo into written language. It gives an idea about the beginning of writing Afaan Oromo in the early 17th century. The study also indicates the school founded in those problematic periods to teach in Afaan Oromo and the translations of many books into Afaan Oromo. Literature is linguistically documented facts and ideas through which people used to preserve their deeds and worldviews from one generation to the other (Owamoyala, 1993). It is also important to note that one cannot separate language and culture from literature that define them. Language is therefore, a pedestal in the evolution of literature as it is one of the typical ingredients in one’s awareness of her/his culture, identity, custom and history. The sources to study the historical movements of human beings have come from the study of languages that were spoken by the preceding generations as a proto language. This is because, language harbors human culture, knowledge, arts, history and others (Isichei, 1995; Yule, 1996; Ehret, 2008). This is also true for Oromo language what the Oromo prefer to call Afaan Oromo (henceforth Afaan Oromo). Among the Cushitic language families to which it belongs, Afaan Oromo ranks first by the number of its speakers. It is the third among the widely spoken languages in Africa next to Swahili and Hausa Languages. It is a common language among many nationalities, like the Harare, Bartha, Shinahsa, Anuak, Sidama, Gurage (Mekuria, 1994), Koma, Yam, Kaficho, Dawuro, Gedeo, Konso, Somali, Afar, Amhara, and others (Feyisa, 1996). The indigenous speakers are uninterruptedly distributed from Southern Tigray in the North to Northern Kenya in the South, and from Harar in the East to Gidaamii in the West (Gada, 1998; Richard, 1995; Baxter, 1978). They form the largest homogenous culture sharing common descent, history and psychological makeup (Baxter, 1978). Geographically, except in the Northern, Afaan Oromo is found in Eastern, Southern, Central and Western Cushitic Language families by retaining its homogeneity. 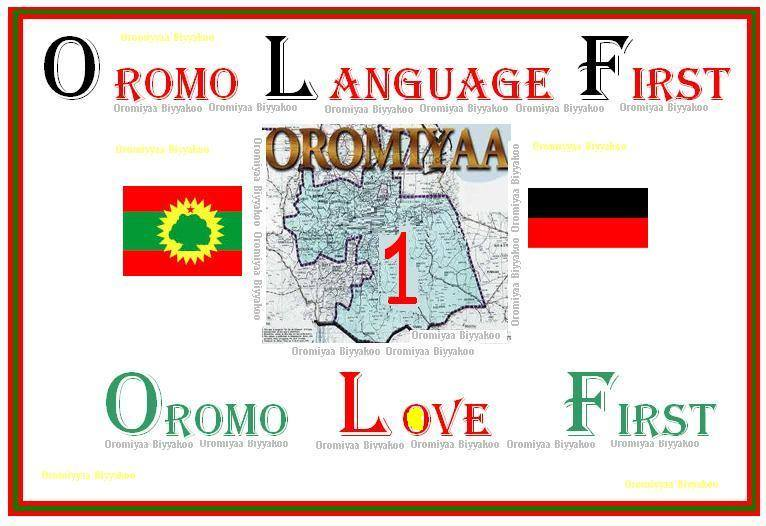 The Oromo of all these areas could communicate in this language without dialectical barriers (Ibid.). Despite these facts, it is denied official status and no comprehensive scholarly study conducted on it. Šihãb ad Din Ahmad bin Abd al-Qãder, Chronicler of Imam Ahmad bin Ibrahm al-Gahz and an Arab writer, indicates that the Yejjuu Oromo had been well established in Walloo before the war of Imam Ahmad bin Ibrahim alGahz. According to Šihãb ad Din, the Imam ordered his soldiers to speak only Yejjuu (Oromo) language as the area was populated by the Yejjuu Oromo. Even, the Imam recruited more than three thousand Yejjuu Oromo into his soldiers (Lester Stenhouse, 2003). This indicates that Afaan Oromo was a popular language in northern Ethiopia before the alleged Oromo expansion of the sixteenth century began. Similarly, Abbaa Bahrey (1993) who is said to have been the author of “Zenaw Lahula (Oromo)” written in 1593 employed many Oromo names and terminologies like gadaa, malbaa, muudana, Tuulama, Maccaa, Galaan, walaabuu and many cultural concepts. Moreover, the book leads us to raise an argument that there was at least one person who knew both Geez and Oromo languages to have produced the book. Otherwise, as Jan Vansina (1995) states it is difficult for someone to collect oral tradition of the society whose language he/ she did not know. At the very least, it would have been impossible to get oral information embodied in the book without Abbaa Bahrey’s using the services of Oromo with good knowledge of the Geez language. Whether Abbaa Bahrey knew Oromo or used the services of others, the literature of the book written by him is another instance of an indirect entrance of Oromo into written literature. Early Printed Sources of Written Oromo Language In the middle of seventeen century, Hiob Ludolf, in his linguistic production, wrote a few Oromo words with its parallel translation in Geez and Latin. According to Ludolf (1682), the Oromo words were told to him by Abbaa Gregory between 1652 and 1658 which again gives clue that Abbaa Gregory was well versed in Oromo language. This book in which Oromo words were written appeared in 1682. It is the first written words of the Oromo language we have at our disposal. James Bruce, who visited Ethiopia, did some work related to Afaan Oromo. (Jumce Bruce, No year of publication) In his journey to discover the Source of Blue Nile, Bruce had the opportunity to be among the Oromo of Walloo. Bruce was the first traveler and second European writer next to Hiob Ludolf to record the Oromo language in his account as one of the major languages he had come across. According to his report, he had wished to get ready made written literature for the languages; but he points out that he could not get even one because of the traditional law that forbade the translation of any religious documents into any language other than Geez (Ibid.). The act was religiously condemned and became immoral. As he puts it: …there is an old law in this country (Ethiopia), handed down by tradition only, that whoever should attempt to translate the holy scripture into Amharic, or any other language, his throat should be cut after the manner in which they kill sheep, his family sold to slavery, and his house razed to ground…it was great obstacle to me in getting those translations of the song of Solomon made which I intended for specimens of different language of those distinct relations (Ibid.). Daringly breaking that traditional law, he translated Solomon’s alleged praise for the Queen of Sheba into Afaan Oromo by using Geez characters on a page of his work. This is the second early tangible evidence of the beginning of writing in Afaan Oromo. Afaan Oromo was a palace language during the reign of Iyoas who was monolingual in Afaan Oromo (Richard Greenfield, 1965). The employment of 3,000 soldiers as palace guards (Tesfaye Zergaw, 2001; Trimngham, John, 1965) helped to make Afaan Oromo virtually the official language of the palace (Martial De Slavic, 2008). The occupation of the position of Ras Bitwedid by the Yejjuu lords from the middle of 1770 onwards (Ibid.). Further exalted the use of Oromo language in the state system. On the other hand, many Oromos who were sold into slavery attempted to make Afaan Oromo popular under the opportunities got to be Christian preachers (Ibid.). Although the origin of Alaqa Zannab, Chronicler of emperor Tewodros, there were many freed Oromo slaves participated in the translation of the scripture before the popular Abba Gammachis (Onesmos Nasib), Zannab , Ruufoo, Waaree, Jagaa, Soolaan and Liban (Wolbert Smidt, 2002) are few among many. The translation of the Scriptures into Oromo language continued. On June 30, 1877, Menilek ordered Alaqa Zannab to translate the books of Jeshewa, Judge Ruth, and Samuel to use the translation for himself for revision after Hebrew. However, the works did not see light of the day due to the death of Krapf, who used to publish Alaqa Zannab’s works, in 1881 and the unstable political situation between the interior and the coast. Nevertheless, R. Pankhurst, who has written about these materials, does not explain why Menilek II preferred Afaan Oromo to Amharic for the revision of the Hebrew Bible (Pankhurst, 1976). But the reason is clearly stated by Hudeson “It is a curious fact that, although so many of the great Abyssinian officers are pure [Oromo], and although nearly every Abyssinian know[s] [Oromo] as well as Amharic, yet they do not care to speak [Oromo] in public. This can only be ascribed to a kind of false pride, as in private they will talk it readily” (Hudeson and Walker, 1922). To have indigenous religious scholars who could study Oromo language scientifically and translate the religious scripture into the language, the Catholic missionaries invested lots of their efforts on Afaan Oromo. Abbaa Massaja intensively continued to request the opening of (Oromo) College in France. It was great for Massaja to get land for the construction of (Oromo) College on 18 January 1866 in Marseille. On 15th April, 1866, St. Michael Oromo College was officially inaugurated by Massaja Marseille, France. By February 1869, the college was reported to have enrolled about twenty-nine Oromo students collected especially from ransom slaves (Abba Antonios Alberto, 1998). For the first three years, the Oromo College was functional to teach theology and linguistics with the focus on Oromo language under the direction of Fr. Emanuel and Louis de Gonzangue Lassere. However, it was unfortunate that the Oromo students of the College could not acclimatize well with the weather and many of them died (Ibid.). This forced Massaja to try to establish another College in the homeland of the students in order to fulfill the pastoral missions of the vicariate. Following his requests, the Capuchin of propaganda Fide allowed Massaja to build another (Oromo) College in the Oromo country in 1868. As soon as he received the letter of permission, Massaja left for Shawaa accompanied by his four Marseille Oromo students and instructors. After forty-eight days of tiresome journey, they reached Liche, the king’s court at the time on March 11, 1868 (Ibid.). Based on Menilek’s advice Massaja sent Fr. Tuarin, the vice-perfect of the mission to Finfinnee with some of the Oromo students on 11 September 1868. Immediately they began constructing Catholic Church of St. Marry at Birbirsaa with the assistance of some Oromo people (Ibid.). Birbirsaa (Oromo) College was officially inaugurated on 25 July 1869. The former instructor of the Marseille Oromo College, Fr. Emanuel and Fr. Louis de’ Gonzague were sent to teach at the college but Fr. Emanuel died on the way to Shawa. Louis de’ Gonzague became the director of (Oromo) college of Birbirsaa in 1873 (Ibid.). At this College, Fr. Tuarin prepared religious texts in Oromo language for church and academic services. Attempts were made to produce religious and academic literature both in Oromo language (Ibid.). At the college, many recruits and some freed Oromo slaves, enrolled and became literate. The trained Oromo also participated in productions and translations of Oromo language literature as both writers and assistants to the foreigners. Nonetheless, the progress of Catholic Missionaries’ expansion and its roles in the development of written Oromo literature were impeded by Emperor Yohannes’s suspicious policy of king Menilek’s secrete contact with the Europeans. Yohannes feared that Menilek might have earned ample firearms through the contact. Consequently, Yohannes ordered Menilek to stop contacting Europeans independently and the two sealed this in one of the articles of the Liche Agreement signed in 1878. The agreement forced Menilek to expel Europeans including all the Catholic missionaries from Shawaa. (Elio Ficquet, 2003) After thirty years of evangelical activity and Oromo language study in Ethiopia, Massaja was expelled (Tewelde Beyene, 2003). The mission station and the (Oromo) College of Birbirsaa had to close down. In 1897, the St. George Church was built on the site of the college by the order of Menilek (Alberto, 1998). Despite these challenges and obstacles, the catholic missionaries had never given up their mission of evangelizing the Oromo and translating books into Oromo language. Mgr. Cahagne, who became Vicariate Apostolic of the Oromo following the resignation of Massaja on 3 October 1879, designed another way to enter the Oromo land. Mgr. Cahagne and his compatriots were able to pass through Zeila and established themselves at Harar in 1881. In Harar, they established two schools; one for freed slaves and the other for missionaries. In both schools Afaan Oromo and Arabic languages were intensively given. Fr. Andre Jarosseau was busy in studying Afaan Oromo and Arabic in Harar during 1882- 1883, which could be a key for his future apostolate among the Oromo. (Kevin, O’Mahone, and Wolbert Smidt, 2003). Parallel with the establishment Oromo College and missionary station, the Catholic Missionaries embarked on collecting Oromo words, studying its grammar. They also translated their religious scriptures into Oromo language. In addition to the 1853 of catechism translation, Abbaa Jacob had translated the gospel of Matthew into Oromo language. He published the book which was 135 pages long at the printing house of Banasfus in Carcassonne in 1900. The main constituent of the translation is 28 chapters of Matthew, Morning and Evening Prayers, Revelation of Sin, and the Ten Commandments. Like his translation of 1853, the book has the problem of precise representation of Oromo sounds which is difficult only for the non-native learners but also for the natives themselves. His orthographical usage is based on the accent of French language. Otherwise, Jacobi had the concept of Oromo words that are long or stressed (Abba Antonios Alberto, 1998). The attempt of translating and composing Oromo language continued. In 1887, Ettore Viterbo an Italian scholar published Afaan Oromo grammar in Italian language under the title Grammatica Della Lingua Oromonica in Ermanno. The grammar consists of about 397 pages majority of which is devoted to the discussion in Italian language. The first hundred pages are devoted to Oromo grammar, from 103- 266 to Oromo-Italian and from 267-397 to ItalianOromo vocabularies where as the rest is left for Kaficho, Yem and the other Southern nations’ grammar. In the book Oromo words, phrases and sentences written in Latin script are cited as an example under each explanation of the grammar with it transcriptions into Italy. As he states in his grammar, his Oromo-Italian and Italian-Oromo bilingual vocabularies were aimed at easing twoway translations that was to benefit both the Oromo and Italian speakers. (Abune Jacobi, 1900) Nonetheless, as his approach of both the grammar and the vocabularies orthographic representation of Oromo sounds are the corruptions of Italian sounding system that it is difficult to pronounce Oromo words correctly for both the Oromo and nonnatives. Similarly, Franz Praetorius a German scholar, published Zur Grammaticka der Gallasparche in 1893 in Berlin. Praetorius’ 130 pages of Oromo grammar in Germany employed Geez script for the Oromo words, phrases and sentences cited in the book to show the practicality of the discussion. (Franz Praetorius, 1993) In this grammar, the focus he made on Oromo language is not worth as most part of the account is left for the German. Although Oromo nation has been one of the largest ethno nations in Ethiopia, the attention given to study their language particularly from historical aspect is remains minimal. Policy of marginalization was also exercised for the purpose of building a country of one language, religion and culture. Promotion for the language was inspected and strictly forbidden. Therefore, the Oromo language in general and written Oromo literature in particular remained less studied. 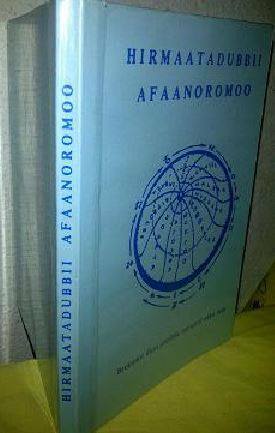 Until recently, Afaan Oromo lacked developed written literature and has insignificant written and printed materials. In spite of this pressures, some literate Ethiopians, foreigners, religious men and sold Oromo slaves to Europe tried to document some sketches of Afaan Oromo whenever they got any opportunity they came across. These efforts enabled us to take down the origin of written Oromo literature down to 17th century. Sheik Mohammed Rashad was a very prominent scholar celebrity among the Oromo people. The alphabet he prepared developed from the Latin and is easier to use. One particular advantage his alphabet has, it can be typed using English typewriter. The second group of students who travelled abroad for studying include all youth who by their own free will decided to travel. They were not sponsored by any government or non governmental organization. They had no scholarship grant. They did not know where to go, what to study, for how long, and what the expense was. The only thing they had was the desire to learn. They travelled on foot; crossed borders and reached a neighbouring country. From there, only a few got the oppertunity to reach a destination in the Middle East. A number of those who travelled on foot did not even cross the border. Death was their fate, because of hunger, disease, or attack from wild animals. Most who traveled in this way were Muslims and among them who successfully completed his studies and contributed a lot to his people was Dr. Shek Mohammed Rashaad. Sheik Mohammed Reshad was born at Laga Arbaa, Carcar district, West Hararge zone in East Oromia. At school age he started learning Islamic education from his father who was his teacher. Rashad was a fast learner who completed basic and intermediate education in a short period of time. He was a nationalist who rejected the suffering of the Oromo under the repressive Neftenya regime. When he grew to be a teen ager, his father allowed him to travel to learn and seek knowledge. One day, he decided to travel with his friend. They started their journey on foot from Laga Arbaa. Along their way they have travelled through many villages and towns, but he mentions only two i.e. Chiro and Harar. When asked why he mentioned only the two his answer was as follows. “When I reached the town of Chiro I saw Abyssinian soldiers performing their routine parade. I saw a similar thing in Harar too. At that time, I thought the enemy soldiers subjugating the Oromo were encamped only at those two places and one needs to get rid of those soldiers to free the Oromo people. Therefore, I decided that I and my friend should travel abroad, meet with Muslims, explain the situation of our people, ask for arms, get armed with fire arms and hand grenades, return back home, one of us to Harar and the other to Chiro, set an agreed upon date and time, launch a pre-emptive attack, finish the enemy army and liberate our people. That was what I thought to accomplish at that young age. This makes his purpose of travel abroad a dual one: education and politics. First he crossed the border and entered Djibouti on foot. From there he crossed the Red sea by boat and reached Yemen. From Yemen he travelled through the Arabian Desert and finally made it the city of Medinah in Saudi Arabia where he settled for some time. During this long travel, he faced many difficulties and obstacles some of which were undoubtedly fatal. Had it not been for the help of Allah he would have not reached his adult hood to tell the story. Following a brief period of stay in Saudi Arabia, he travelled to Syria where he started his studies. Upon completion of his studies he was congratulated but was seen off without a diploma or a certificate. Because of this and the counseling he received from his friends he travelled to Egypt where he got registered at Al Azaar University. He continued his studies and graduated with BA and then MA degrees. His major was religion but he has taken several courses in sociology, psychology and counseling, logic and linguistics. 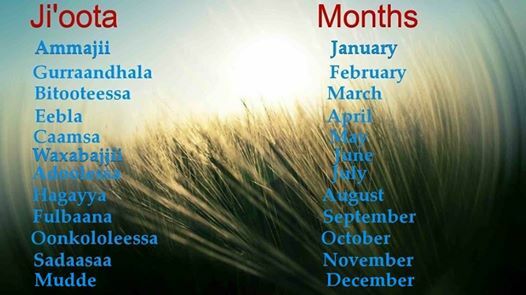 Both alphabets were found not to fulfill the criteria. The Arabic alphabet could not fulfill all the three. Its symbols do not represent the entire phonemes because it is short by eight symbols. It means it does not have symbols representing eight sounds which are currently represented by: “ /C/, /CH/, /DH/, /G/, /NY/, /PH/, /X/ and /Q/. Because of the Oromo accent and the presence of sounds loosely close to them we can disregard the last two i.e. 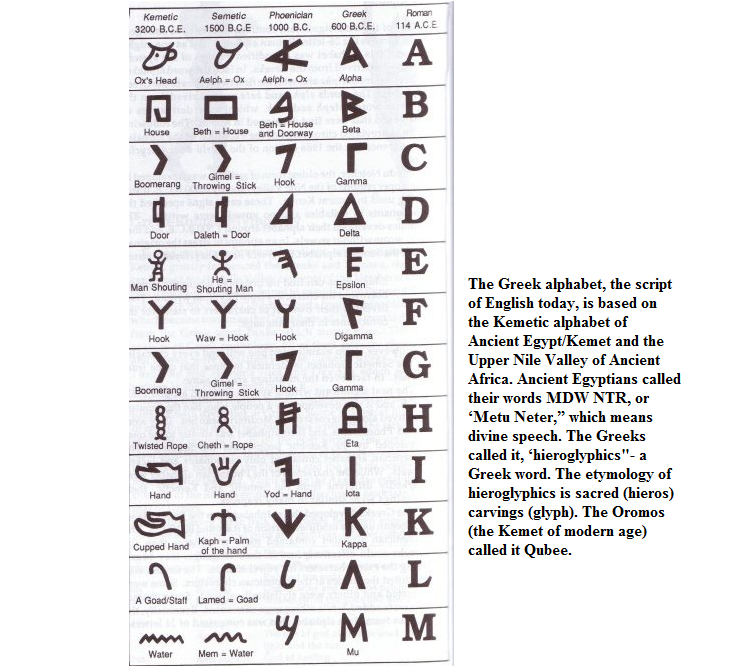 /X/ and /Q/ To explain the six sounds for which the Arabic alphabet has no symbols nothing is better than the example produced by Dr. Rashad himself. It goes, ask any Arab to pronounce the following sentence: “Dhagaa caphsii cirracha nyaadhu” and see for yourself that he/she cannot. Similarly you cannot write that sentence using the Arabic alphabet. 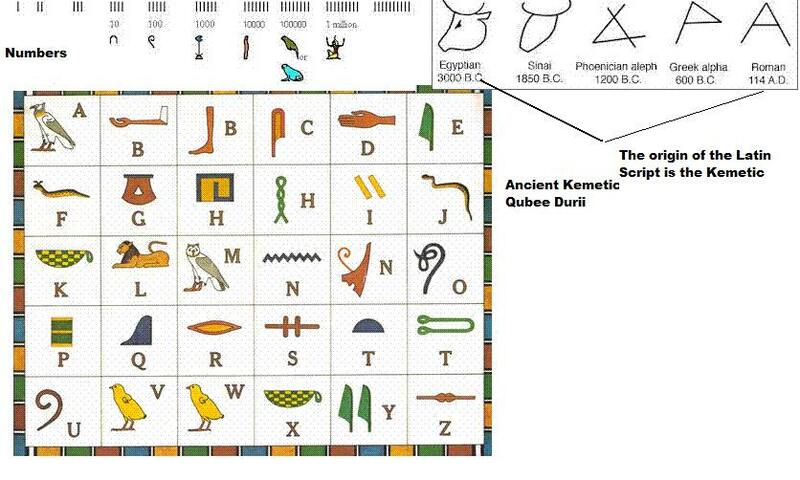 Symbols can be modified to represent those sounds but no typewriters or printing presses are readily available for use. Because of this reason the Arabic alphabet as it is cannot be chosen for Afaan Oromoo. Journal of Public Administration and Policy Research,” Vol. 7, No. 1 (2015), pp. 15-23. Posted by OromianEconomist in Afaan Oromoo, Africa, Kemetic Ancient African Culture, Oromo, Oromo First, Oromo Identity, Oromo Literature, Oromummaa, Qubee Afaan Oromo. 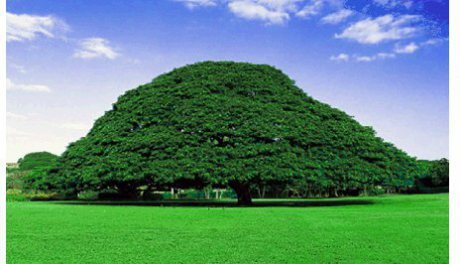 Afaan Oromo is the ancient indigenous language of Africa. Save Afaan Oromo! Posted by OromianEconomist in 10 best Youtube videos, 25 killer Websites that make you cleverer, Afaan Oromoo, Afaan Publication, African Literature, Culture, Language and Development, Oromiyaa, Oromo, Oromummaa. A native African language has been brought to the pages of children’s textbooks for the first time by a Melbourne educator. More than 40 million people speak the Oromo tongue but, until now, it’s been largely passed down by word-of-mouth. Posted by OromianEconomist in Afaan Publication, Africa, Humanity and Social Civilization, Kemetic Ancient African Culture, Language and Development, Oromia, Oromiyaa, Oromo, Oromo Artists, Oromo Culture, Oromo First, Oromo Identity, Oromo Social System, Oromummaa, Qubee Afaan Oromo, Self determination, Sirna Gadaa, The Colonizing Structure & The Development Problems of Oromia, The Oromo Democratic system, The Oromo Governance System, The Oromo Library, Toltu Tufa, Uncategorized. February 21 is UNESCO’s International Mother Language Day. 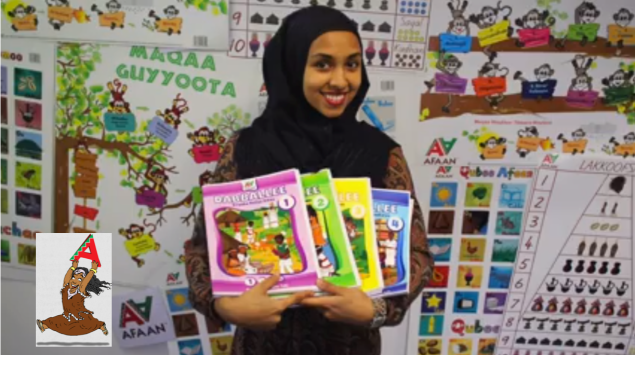 AFAAN Publications’ successful campaign to raise funds to produce children books in Afaan Oromo is the highlight of 2013. The Oromo language, Afaan Oromo, is Africa’s 4th most widelyspoken language, which was banned for 100 years until 1991. AFAAN Publications is based in Melbourne. AFAAN Publication recounts the 2013 successfulfundraising campaign by recognizing some of the international cities which supported the Melbourne’s drive to create children’s books in Afaan Oromo, and AFAAN Publications was also featured last week on 774 Radio ABC Melbourne. AFAAN Publication: Commemorating UNESCO’s International Mother Language Day on Feb. 21, 2014; Highlighting Past Achievements; and Laying out Plans for 2014. Copyright © OromianEconomist 2014 & Oromia Quarterly 1997-2014, all rights are reserved. Disclaimer.